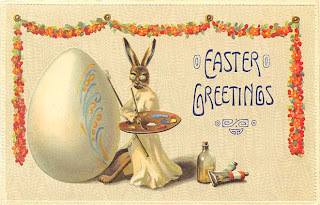 May you all enjoy your Easter Sunday! Make it a good day however you choose to spend it. My heart is happy thinking of all the wonderful people and families I have had the pleasure of meeting through the magic of blogland. When I went in to get a shower, I saw this happy little chick! Angie gave it to me and it is so her. Have to include this with the collection. 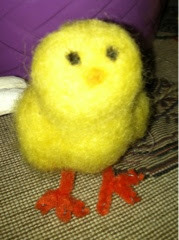 How could I forget to feature this happy felted chick made by my dearest friend LaVonne! It is one of my favorites. 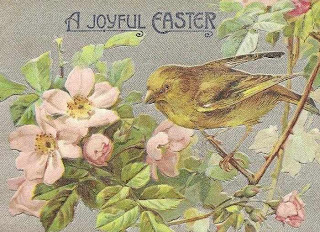 It hangs on the Easter tree. I woke up this morning to SUNSHINE! In fact, the sun actually was shining in my eyes and woke me up! Glorious sunshine announcing SPRING and it's beautiful flowers and trees budding and everything coming back to life! Who knows how long we will get to enjoy this weather but who cares! Enjoy it now and get outside, heh? It's supposed to be 73. So I decided to roam around my little house this morning and find all the various chicks hiding here and there! 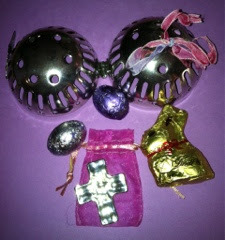 Easter will soon be over and I can now take better pix so I am trying out the new camera! Of course, I haven't figured out how it all works, but it is an improvement! At least I can edit my photos again, so that really helps. I received a package yesterday from a dear Tasha friend in way far away in Virginia...my friend Mary. She has fabulous collections of EVERYTHING for the holidays. 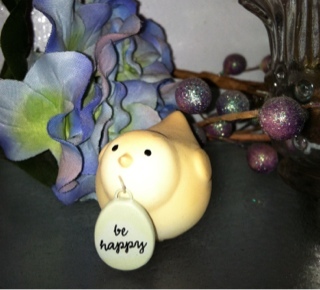 She sent me this adorable Dept 56 chick! It has a finish on it like the Snow Babies and it's little head is a bobble head. SO CUTE! Thank you Mary. Here's a few chicks that live in the front room. They just all make me smile, especially on a sunny day! The are made of different materials, paper, cardboard, wood, and metal.....ready to make you smile too! I don't have too many things in my tiny kitchen but I do like this little candle chick. Of course, I could never burn it! I have a shelf of demitasse cup and saucers on the wall and this little plastic chick may have just popped out of that little egg! I adore vintage postcards...Mary sent this one along with the chick. The little chickie tag was on a basket that I will share in another post. It's pretty charming with it's fluffy tail! A solar dancing chick? Oh my. My friend Nancy is like a kid with these things.She finds them at the $ store and gives them to me all the time. This on is really cute. I hope you have sunshine where you live today! Enjoy....have some fun....get outside! 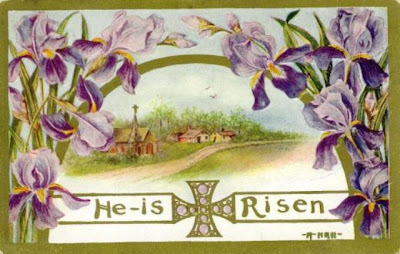 Good Friday~a day for quiet reflection and prayer as we approach Easter Sunday. Last Saturday evening, I got a phone call and I expected to hear my daughter Angie's voice when I answered. To my surprise, it was Angie's Chris asking if Jimmy and I would like to go to the Heathman Hotel in downtown Portland Sunday afternoon for tea! Well, of course! 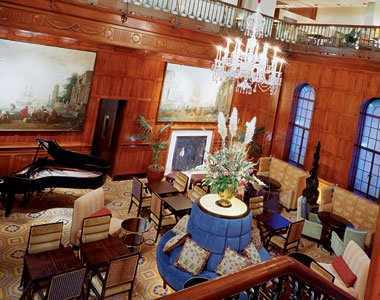 The Heathman is a lovely older hotel in Portland and the Tea Court is in a gorgeous room complete with a beautiful crystal chandelier. We all had the afternoon tea tray and yummy! Everything was so good and it was a very nice offering to be enjoyed by all. Angie and Chris surveying the tea time treats! Chris, Angie and Jimmy...waiting to sample the goodies. They were all being silly. This is the first full tea that Jimmy has been to. He REALLY enjoyed the calm and the time to just relax and chat. I think he understands now why I love to go to tea. Here's the mama-to-be with a mouthful of the famous opera cake and oh, it was soooo goodd. No fancy teapots or teacups here...Vanilla, Earl Grey and Orange Spice teas were the favorites at the table. This is sweet Grandma Kathy, Chris' mom and Ava's grandmother. We were so glad she was able to come with us. Here is Miss Ava in her pretty dress. Notice the missing tooth? Others are loose too! 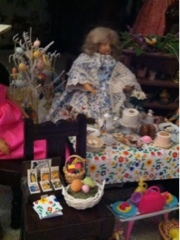 She had the Peter Rabbit Tea for children that was just perfect for little ones. This is my tiny doll sized Peter Rabbit tea set which I love! 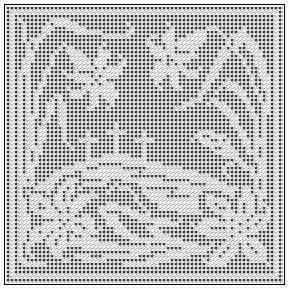 Very detailed and charming. I love anything Peter Rabbit. 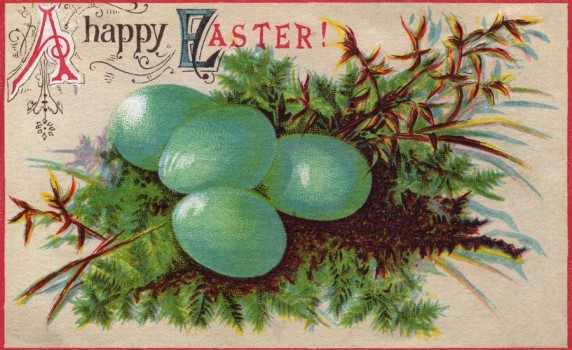 Maybe next year I will decorate with my Peter Rabbit things for Easter. It just all came too early this year! 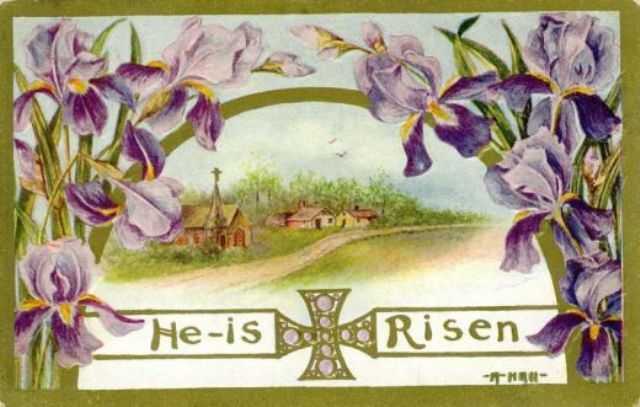 It's hard to believe that tomorrow is Good Friday already. 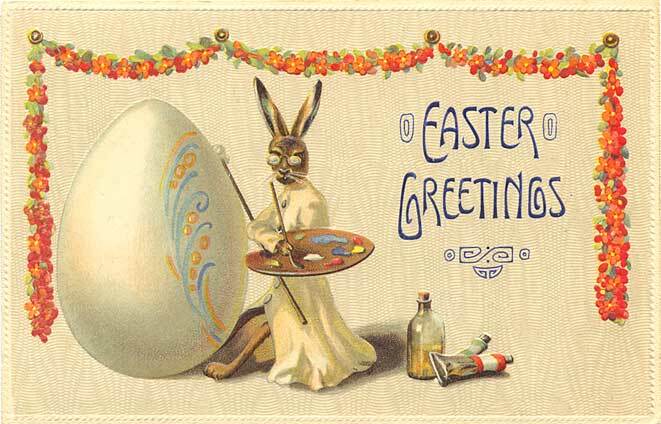 Time to set the bunnies aside and spend a day thinking about Easter. 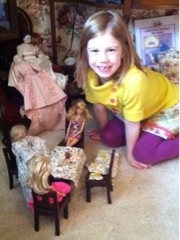 Miss Ava came to stay overnight with Jimmy and Linda on Tuesday! I picked Ava and Angie up in the afternoon! Bless my daughter's heart for helping me with a plug in device that will allow me to use the camera I bought that is not compatible with my old laptop! A new laptop is on my the list! I have to have a good camera with my Etsy. My iPhone was doing a good job until it stopped loading my pix! Do you think it's hard to keep up with technology? Boy, I do! So on to Ava's time with us! 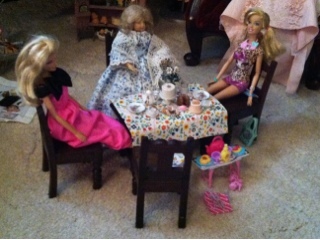 Barbie is turning 54 this year so my doll Annabelle planned a birthday party with presents and cake for the dolls . 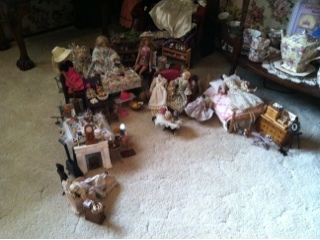 Ava wanted to move the party out of the dollhouse, in fact, she moved Everything out of Annabelle's house ! 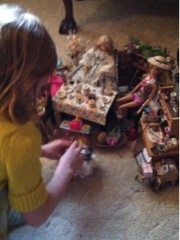 Ava is 6 but is so careful with the Dolly's tiny things. 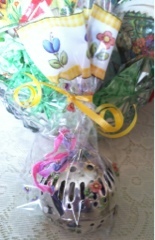 Party cakes, snack tray and a fancy Easter egg for the birthday party table. 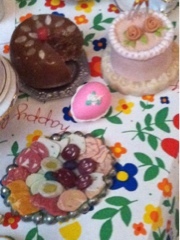 You can see Barbie's birthday breakfast tray that she received for a gift plus shoes, a purse and some fancy jewelry. 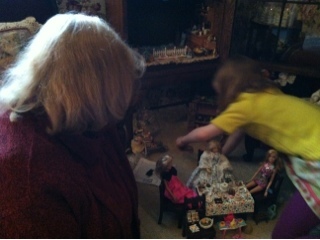 Ava brought me a Barbie, the one in the pink dress. 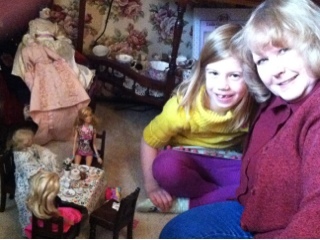 It was a gift for me, so I will have a Barbie to play with when Ava comes for visits! Isn't that sweet? 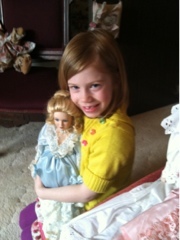 This is the birthday Barbie doll! She looks pretty cool in her kitty outfit with new jewelry and her purse. Doesn't she look great for 54? The hostess Miss Annabelle with some of her Easter goodies and ready to serve at the birthday table. 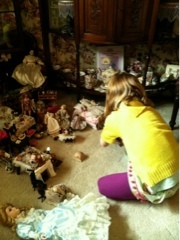 You can see how much "stuff" has migrated out of Annabelle's home! After she moved everything out and set up a garden area, we had to have MANY Easter egg hunts with tiny eggs! 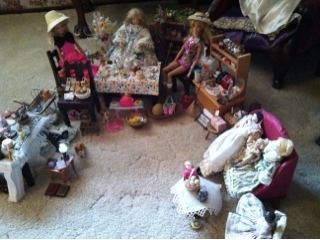 Dolly lovers of all ages having a grand time playing dolls! Could Lady Linda ask for anything better? 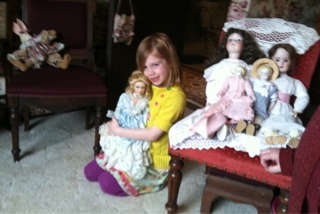 Miss Ava taking a break and giving the dolls a hug. Jimmy decided we needed to go out for dinner at Heidi's....one of Ava's favorite restaurants. She loves the bread, vegetable soup and a nice big salad. Of course, the gummy worm pudding dessert came home for later! Jimmy and Linda are beginning to feel like grandparents and are getting excited for little Otto to join us all in July. 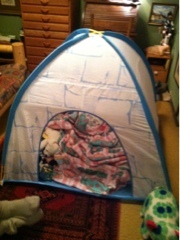 The tent was one of the many items from Ava's home that moved over to Harlow Street! Tons of stuffed animals, blankets, books, and who knows what else! She talked old Jimmy into pitching the tent in his fish room! I had to sleep (sleep? ha ha ha) on the futon couch to keep her company during the night. She crashed! Of course, she was ready to bake cookies as soon as she was awake the next morning! What a JOY and BLESSING children can be! Thanks Miss Ava for letting Jimmy and Linda have tons of fun. See ya on Easter Sunday. 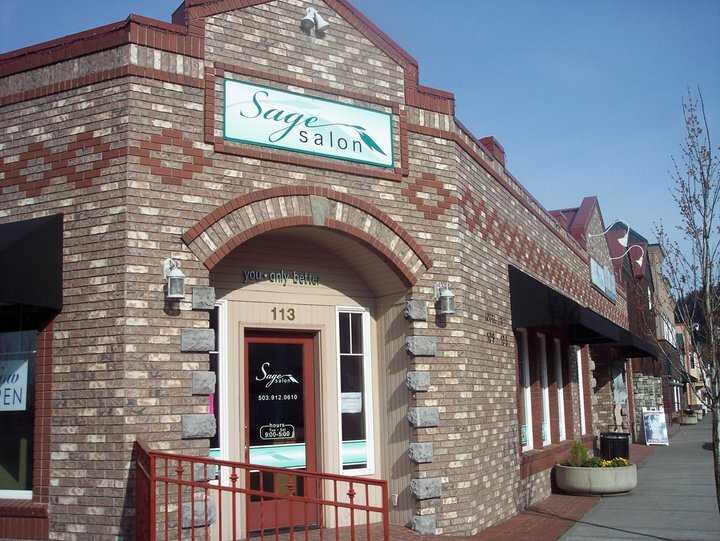 My friend Lynda lives on the opposite side of Portland OR from me but gets her hair done in my little town of Troutdale. We try to meet for coffee or lunch when she comes my way about every 4-5 weeks. I found a friendship ball at a sale and thought I would get the "ball" rolling! I used to sell them years ago at my shoppe. You are to fill it with tiny treats and give it to your friend . 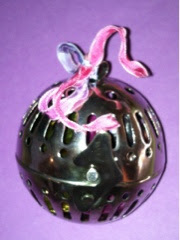 The next time you are with your friend she is to give it back, filled with something for you! Lynda thought it would be fun too. It will be interesting to see what we come up with for each other. We have known each other for about 30 years. Long time friends are a blessing. My FANTASTIC Spoolie Easter Exchange! Expo Show Is Here Again!